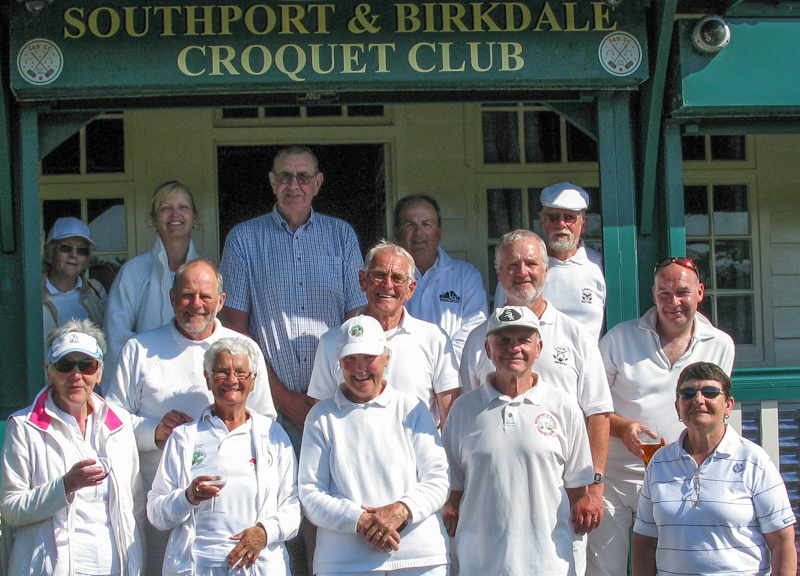 It is always a delight to come to Southport to play croquet in a tournament because they make visitors particularly welcome. “Long” John Haslam always runs a good tournament and Margaret Flemington surely deserves a CA Diploma (has she already got one?) for leading a team which ensures that all are very well fed. 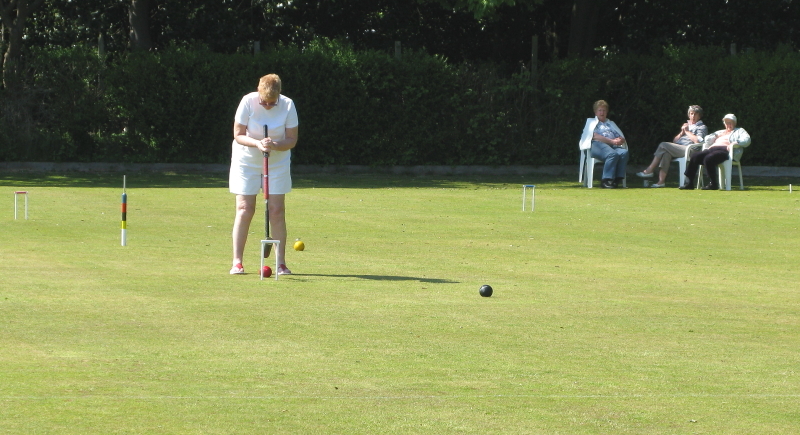 Barbara Haslam (3.5) and Di Williamson (11) contested what was in effect the final on Lawn 4, which contained a very tricky four back hoop. Barbara needed to exercise great patience in order to await Di’s exhaustion of her bisques. It was then nip and tuck and, at the bell, Barbara was 3 hoops ahead with Di unable to take advantage of her final chance to hit in. The competition was run as a Swiss and play got off to a good start with excellent weather promised for the whole weekend. John had set a time limit of 2.75hrs (DB) and 2.5 single banked. By the second day the lawns were quite quick due in no small part to the much discussed sit on mower acquired from the top golfing scene in these parts. Local members told me that this also came with good training from the manufacturer who had carried out a complete renovation of the machine prior to delivery. There is apparently no shortage of volunteers to man this “boy’s toy”! The only other piece of excitement happened when visitor Klim Seabright completely missed a double only to see the ball rocket off the lawn and cleanly take off the handle of a tea mug while leaving the actual cup standing – thus the “Broquet” (as Betty Bates named it) was invented.